Did you know that you can use your Bitcoin to buy things from anywhere that credit or debit cards are accepted? The number of retailers accepting BTC directly is growing every day, and there are now literally thousands of places offering some great deals to Bitcoin buyers. But this growing list of pioneers still represents a tiny proportion of retailers. If you walk down the high street and step into your favourites stores you will find that very few of them are equipped to take digital currency payments, and it is often difficult to buy your groceries or other make other common purchases using Bitcoin. Or is it? In actual fact, it is easier than you think to use BTC in all of the places you usually visit, without changing your shopping habits at all. There is now a wide range of different services available which help you to spend Bitcoin pretty much anywhere, even places who’ve never heard of cryptocurrency. Just one example of this is the ‘Bitcoin debit card’ – plastic cards you can put in your wallet and use just like any other credit or debit card, but which draw money from your Bitcoin wallet rather than your bank account. E-Coin – One of the most interesting aspects of E-Coin’s offering is that you can choose between a physical or virtual card. The virtual option allows you to make orders anywhere over the internet that accepts debit cards, but you don’t get a physical card to use in stores or to withdraw cash from an ATM as you do if you go for the ‘physical’ option. 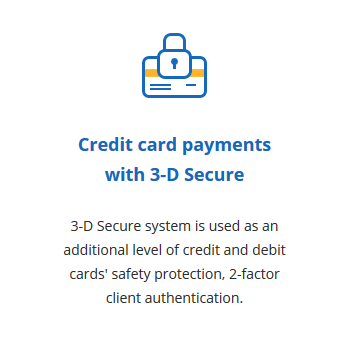 There is a fee to buy the card, which is higher if you want an actual piece of plastic, but after that the fees are very reasonable – a minimal monthly maintenance fee and no fee on purchases. You can choose between three currencies: USD, GBP or EUR. You can load the card instantly from their wallet app. 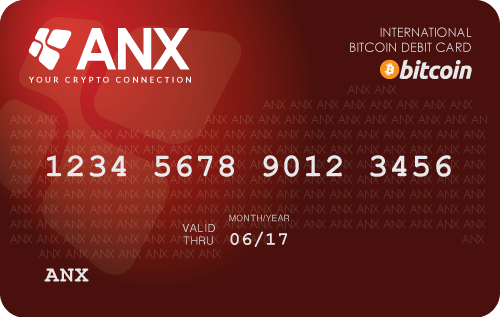 ANXBTC – Without a doubt one of the most popular and well established cards is provided by a company called ANXBTC, an exchange and online wallet service provider based in Hong Kong. Using the ANXBTC exchange platform you can buy and sell coins instantly for a range of major international currencies including USD, EUR, HKD, AUD, CAD, JPY, SGD, GBP and NZD. They also offer a secure cold storage vault with 3-factor authentication, and a good range of fiat payment methods as well as pre-paid debit cards that you can top-up from your BTC wallet. These cards are accepted at worldwide at over 25 million retail locations and ATMs for cash withdrawal in the local fiat currency. OKPay – The OKPay card is a pre-paid Mastercard, so it can be used at most retailers and ATMs. It is denominated in USD, and is topped up from the popular OKPay e-wallet, which can be used to store a wide range of digital and fiat currencies, including Dogecoin and Litecoin as well as BTC. BIT-X – Although the Bit-X offering is technically a pre-paid card like any of the others listed above, it doesn’t feel like one to use. It describes itself as “the first true crypto debit card”, and for good reason: whereas all of the other options require you to convert a portion of your balance from digital currency to fiat in advance, in order to top up your card ready for use, Bit-X will automatically sell the exact amount of Bitcoin required for each purchase at the current market rate when you are actually making the purchase. This is possible thanks to a unique level of co-operation between the Bit-X exchange and their banking partner, and it means that you can leave your balance in Bitcoin whilst still being able to spend your coins anywhere that credit cards are accepted. You can get cards denominated in EUR or USD, and these cards can be shipped worldwide. You can set it up to draw funds from any balance held on the Bit-X exchange, including BTC, LTC, USD, EUR or GBP. You can even start using the card without verifying your identity, although dong so will allow you to take advantage of higher spending limits. WageCan – This international company offer an interesting combination of a Bitcoin savings account, which offers daily interest on your balance, and a debit card accepted in more than 210 countries and at more than 30 million ATM machines around the world. The card itself is a pre-paid debit card which you top up from your interest-bearing BTC savings account. You get a public BTC address for each card too, so you can even give out this address and receive digital currency payments directly to your card balance. XAPO – As one of the world’s leading web wallet and secure storage vault providers, Xapo is perfectly positioned to take on this market. After a long wait, their card is now available to order. You pay a $20 fee to order your card, but then there are no inactivity fees and no fees for purchases, although you do pay $2.50 for ATM withdrawals. Like Bit-X, the Xapo card draws funds from your Bitcoin wallet balance rather than requiring you to sell coins in advance to top up. CCEDK – This European exchange provider has joined forces with Bit-X to offer their own ‘Nanocard’. Like the Bit-X card, you do not need to sell your coins in advance to top up your balance – instead you can spend directly from your digital currency balance with coins converted on the spot at the current market rate. CCEDK’s order books make use of the Bitshares decentralized exchange platform, to conduct exchanges in a transparent and secure manner. Coinomat – Popular instant exchange service Coinomat now has its own card. There is a small fee for point of sale purchases and cash withdrawals, as well as a fee to have a new card issued. Balances are in either USD or EUR. This list seems to be incomplete. How could you not include http://www.e-coin.io which by all standards is the market leader. They have over 50,000 users and are growing faster than the rest of the community included? Thank you for the suggestion. There are a couple of others that have been launched since this article was written too, so I will update it when I can find the time. Thanks Dean for all that you do. Its very kind of you to say that. Its a pleasure be a part of exciting new things in some small way. I haven’t actually bought from XAPO but I don’t think its P2P – so you actually buy your coins from XAPO and then yes, they are automatically added to your wallet balance. Of course you must open an account with them first to do this. You don’t get interest from most wallets, but there are places you can go if that’s what you want, eg http://cryptorials.io/how-to-earn-interest-on-bitcoin-5-different-ways/. You can’t put an altcoins in your XAPO wallet. Some wallets work for multiple currencies like HolyTransaction, but I don’t know about Capri coin specifically. yes of course if you buy bitcoin and its value falls then what you have will be worth less. Personally I think it will turn out to be a good investment, but you should really research yourself and make your own mind up. We have a few different articles on this if you’d like to take a look around the site – just published a new one today as well! Many thank for very nice post. but it seem out of date now. uquid bitcoin debit card https://uquid.com/uquid-card . which is getting much popular now on market which support for multi card and anonymous. it will be very nice if you can listing them here which bring more options for our reader. more competitors, we are getting benefit of lower price.